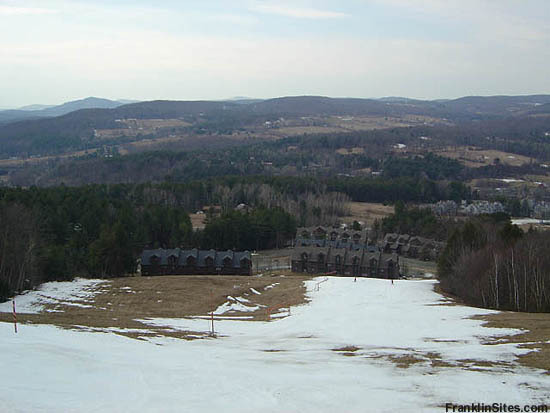 After having operated for over a decade, the ownership of Ascutney had successfully acquired hundreds of acres of land for expanding the then-small ski area. 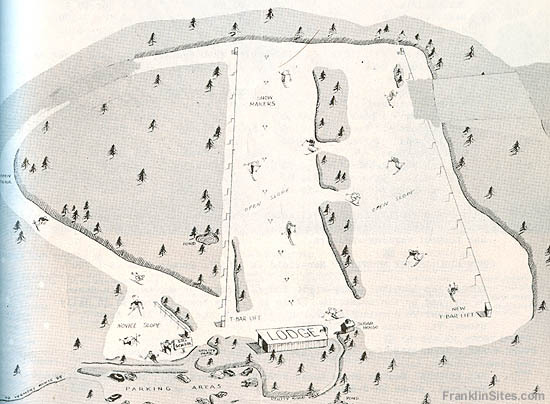 After a few changes in ownership, the area was nearly doubled in size by the 1962-63 season, as the West Slope and two trails above it were cut, served by a T-Bar. 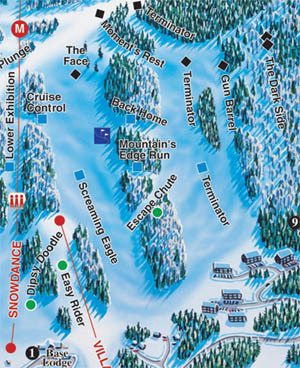 The T-Bar at the time featured three unloading stations, allowing for various abilities (expert by the top of it) to dismount at their comfort level. 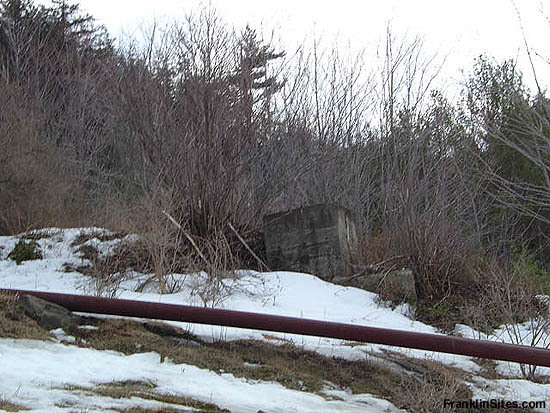 The T-Bar was removed sometime in the early 1980s. 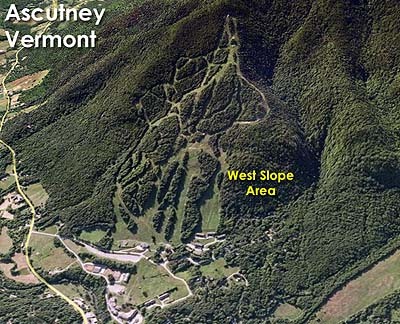 The West Slope became known as Terminator and the two trails above it have been known as 9 Lives (later Terminator) and 10 Lives (later Gun Barrel).